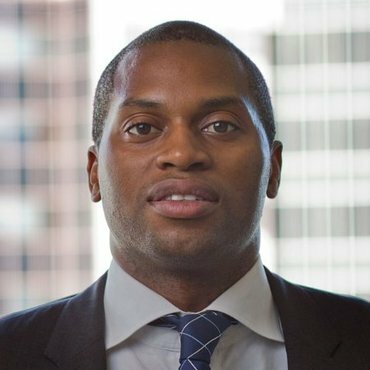 Wale Ayeni , a former investor with EchoVC, has joined IFC. According to a news brief, he will be focusing on investments into African companies on behalf of IFC. Wale Ayeni has over a decade of global technology experience spanning several roles including Venture Capital, Investment Banking, Corporate Development, and Microprocessor & ASIC chip design. Wale currently leads venture capital early-stage investments in disruptive startups across various technology sectors for Orange in North America. Orange is a $50B global telecoms company with over 260MM subscribers in Europe, Middle East and Africa and actively invests $500K – $3MM early-stage companies – recent investments in the US includes Veniam(Mesh Networks), Chain (Blockchain), WEVR (Virtual Reality). Prior to this Wale was with J.P. Morgan’s Technology Investment Banking group in San Francisco where he successfully executed over $12B worth of closed transactions spanning mergers & acquisitions to IPOs for large-cap technology clients including Facebook, Electronic Arts, Activision Blizzard, Intel Corp., AMD, Shutterfly, etc. Wale started his career as an Engineer, and in his previous technology career Wale was a microprocessor design Engineer with Intel Corp. where he led critical aspects of Intel’s “CSI” chip architecture – the biggest micro-architecture change in Intel’s history. He also led aspects of the very first “Snapdragon” chipsets working at Qualcomm Inc.’s chip design center enabling the initial smartphone designs. Wale has an MBA from Dartmouth College, and his Bachelor’s degree with distinguished “Red diploma” from Moscow University. He is a Kauffman Venture Capital Fellow, he is a recipient of the top global 100 Rising Stars award in Corporate Venture, and is extremely passionate around frontier market VC investments.